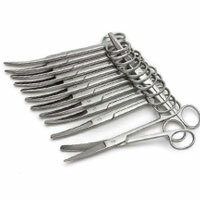 You can get discounts if you buy surgical instruments in bulk. Our economy surgical instruments are typically sold in packages of 12. These are an ideal choice for students or for disposable use. All our bulk instruments are all made of surgical grade stainless steel. All sales are final on disposable instrument packs.